If you aren't careful, much of the tech you hold near and dear can be used against you. An app called PlaceRaider, for instance, can use your phone to build a full 3D map of your house, all without you suspecting a thing. Developed by Robert Templeman at the Naval Surface Warfare Center and a few buddies from the University of Indiana, PlaceRader hijacks your phone's camera and takes a series of secret photographs, recording the time, and the phone's orientation and location with each shot. 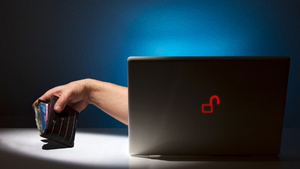 Using that information, it can reliably build a 3D model of your home or office, and let cyber-intruders comb it for personal information like passwords on sticky notes, bank statements laying out on the coffee table, or anything else you might have lying around that could wind up the target of a raid on a later date. 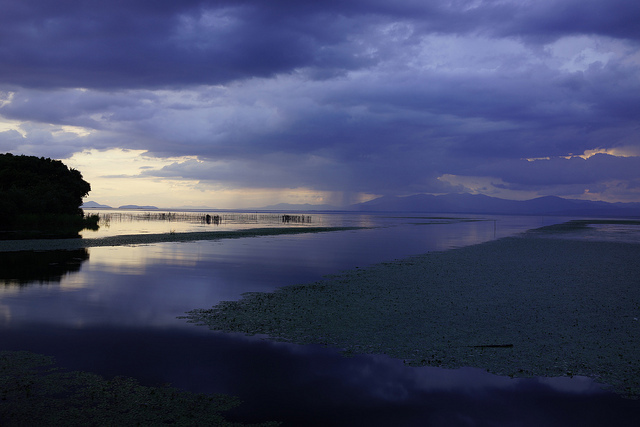 You might be asking yourself "why not just take video?" There are a couple of reasons. For one, users looking for things to steal found the 3D environments to be very useful in early tests of the app. More importantly, using photos and stitching them together after transmission minimizes the amount of data the phone has to be able to send, making the whole thing especially surreptitious. So after your brain hurts a bit and you're tired of learning computer science on the Raspberry Pi, you might want to relax with a bit of nostalgia and exercise your thumbs with some retro gaming. Want to revisit your childhood memories of Pong? Ping away. Maybe your kids have been hounding you for a video game console but you don't have the $300 to spring for a PS3. The Pi can help you with this and help teach your kids something, to boot. After some slight software configurations and a hardware purchase or two, you can relive the days of the almighty Atari 2600. Catch us after the break and we'll show you how to get your Pi to play all your totally legal cartridge backups. How to set up your Raspberry Pi to play Atari 2600 games originally appeared on Engadget on Fri, 28 Sep 2012 14:05:00 EDT. Please see our terms for use of feeds. Parallel computing is normally reserved for supercomputers way out of the reach of average users -- at least at the moment, anyway. Adapteva wants to challenge that with its Parallella project, designed to bring mouth-watering power to a board similar in size to the Raspberry Pi for as little as $99. 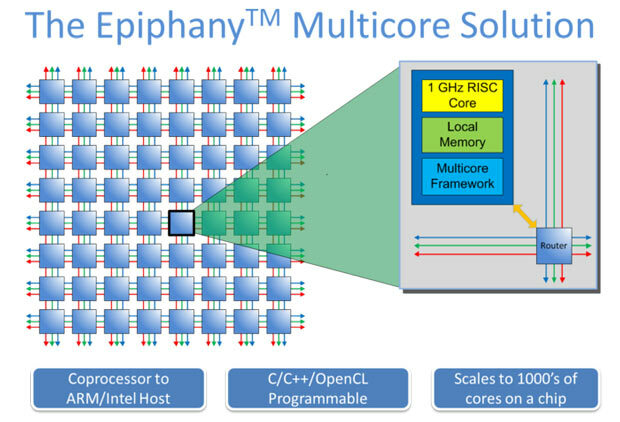 It hopes to deliver up to 45GHz (in total) using its Epiphany multicore accelerators, that crucially, only chug 5 watts of juice under normal conditions. These goliath speeds currently mean high costs, which is why they need your funds to move out of the prototype stage and start cheap mass production. Specs for the board are as follows: a dual-core ARM A9 CPU running Ubuntu OS as standard, 1GB RAM, a microSD slot, two USB 2.0 ports, HDMI, Ethernet and a 16- or 64-core accelerator, with each core housing a 1GHz RISC processor, all linked "within a single shared memory architecture." An overriding theme of the Parallella project is the openness of the platform. When finalized, the full board design will be released, and each one will ship with free, open-source development tools and runtime libraries. In addition, full architecture and SDK documentation will be published online if-and-when the Kickstarter project reaches its funding goal of $750,000. That's pretty ambitious, but we're reminded of another crowd-funded venture which completely destroyed an even larger target. However, that sum will only be enough for Adapteva to produce the 16-core board, which reportedly hits 13GHz and 26 gigaflops, and is expected to set you back a measly $99. A speculative $3 million upper goal has been set for work to begin on the $199 64-core version, topping out at 45GHz and 90 gigaflops. Pledge options range from $99 to $5,000-plus, distinguished mainly by how soon you'll get your hands on one. Big spenders will also be the first to receive a 64-core board when they become available. Adapteva's Andreas Olofsson talks through the Parallella project in a video after the break, but if you're already sold on the tiny supercomputer, head over to the source link to contribute before the October 27th closing date. Insert Coin: The Parallella project dreams of $99 supercomputers originally appeared on Engadget on Fri, 28 Sep 2012 12:19:00 EDT. Please see our terms for use of feeds. Google's mapping offerings are getting a little bit better this week. The software giant's announced the addition of a slew of high-res aerial and satellite images for 17 cities and 112 countries / regions -- it's a long list, so your best bet is accessing the source link below to check out all of the offerings. Google's also adding 45-degree imagery in Maps for a total of 51 cities -- 37 in the US and 14 outside -- letting you check out the Leaning Tower of Pisa and the buildings of Madison, Wisconsin from an all new angle. Forget the plane tickets -- all you need for your next vacation is a browser and an overactive imagination. Google offers up more high-res places in Maps / Earth, intros additional 45-degree imagery originally appeared on Engadget on Fri, 28 Sep 2012 09:54:00 EDT. Please see our terms for use of feeds. Sony excited a lot of people who were down on point-and-shoots with the full-frame RX1. 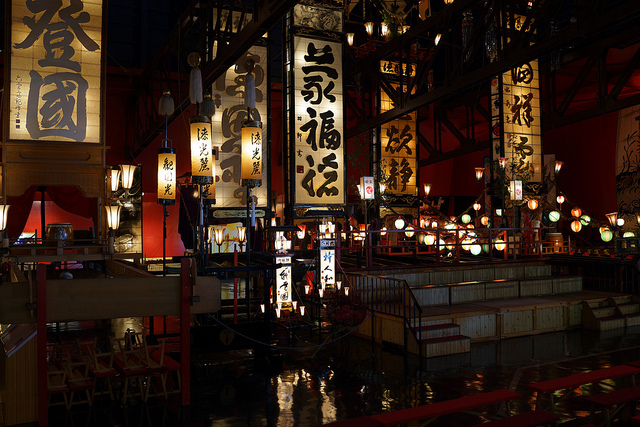 As the smallest full-frame sensor camera, it sounded like it could be awesome. But sounding awesome is different from looking awesome and with cameras, it's all about the shots right? 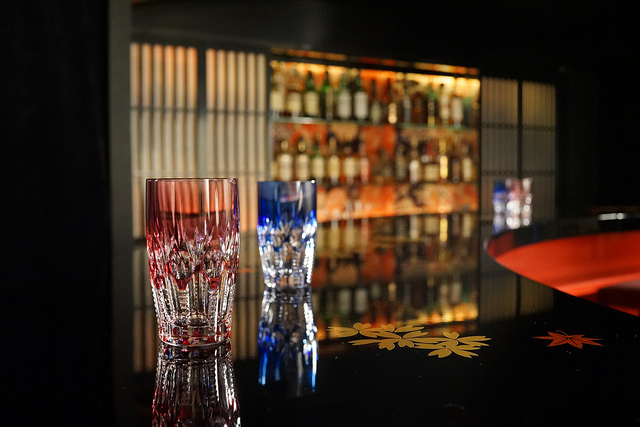 Well, here are some sample shots of the RX1. 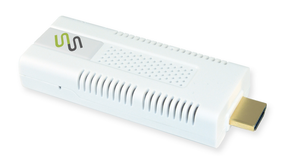 If you're wondering how you can breathe life into that old TV set, the FAVI SmartStick might be what you're looking for. For $50, you get a dongle that provides your TV with Android and access to streaming movies and music. The stick, which runs Jelly Bean and packs 4GB of storage, plugs into any HDMI port and uses baked-in Wi-Fi to provide access to the likes of Netflix, Hulu, Epix, YouTube, and Pandora. It comes as standard with a full internet browser, but because it runs Android you can download anything from the Play store, too. The stick also lets you stream media wirelessly from another computer elsewhere in your pad, though you have to use a proprietary MediaSHARE app. You can also get a mini wireless keyboard and touchpad mouse for $40 for easier navigation. Brian Eno has made some trippy iOS music apps before but the latest, Scape, takes Tiger Mountain by wackiness. Look at the video above. What are all those strange symbols and shapes? 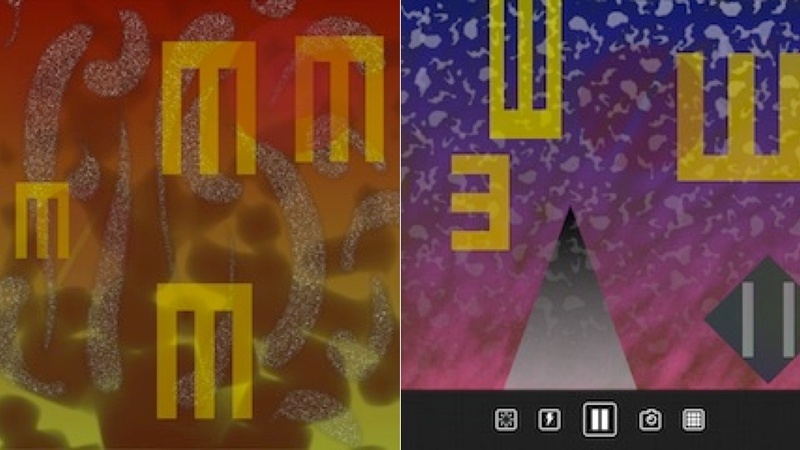 Is this a music app or a weird new age religion? Or Scientology? The original Tablet S has already absorbed a few interesting updates and now it's getting one more: devices are waking up to an Android 4.0.3 update that brings significant additions like a Guest Mode for creating restricted user accounts, revamped media and social aggregation apps, and six assignable macro buttons on the IR Remote Control app. Sony has also bolstered its Small Apps function, allowing you to overlay a browser, IR remote and other utilities in a window on top of another app. What this update isn't is Jelly Bean, which is headed to the Tablet S's similarly-named replacement, the Xperia Tablet S.
Correction: We originally confused the Tablet S with the newer Xperia-branded model. Thanks to all who spotted the error. Sony Tablet S gets chunky update: better multi-tasking and IR, 'guest mode', new media apps (correction) originally appeared on Engadget on Fri, 28 Sep 2012 05:42:00 EDT. Please see our terms for use of feed! s.
According to Simple.TV, there have been articles circulating around the interwebs that may have caused confusion amongst parties interested about the shipping dates of its facile white puck. So, in order to induce some clarity, the folks behind the project have posted a Kickstarter update to let its backers know their Simple.TVs will be arriving soon -- somewhere between October 10th and 15th, to be precise. On the other hand, Simple.TV is also set to start taking pre-orders on its website tomorrow from folks who missed out on the crowd-funded party, with these particular units estimated to ship "within 20 days" after the order has been placed. The good news is we're only a couple of weeks away from its long-overdue arrival; in the meantime, however, don't forget we have our own hands-on for you to graciously pore over. Simple.TV clarifies shipping dates, tells backers units will start arriving October 10th originally appeared on Engadget on Thu, 27 Sep 2012 19:27:00 EDT. Please see our term s for use of feeds. AMD has a disproportionately large $6.4 million investment in BlueStacks, and now we're seeing one clear reason why. The two companies have teamed up to create a special version of the BlueStacks App Player that's tuned for AMD's Fusion-based processors and Radeon graphics cards, running Android apps with the full help of the chip desgner's hardware in Windows 7 and 8 PCs. Accordingly, over 500,000 Android apps are invading AMD's new AppZone portal without any needed tweaks of their own, giving the service a much larger catalog than if it had gone with Windows alone. 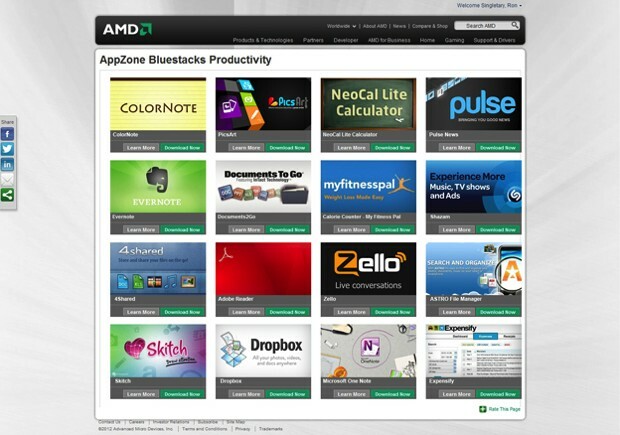 Both companies have a clear incentive to this melding of desktop and mobile: BlueStacks suddenly gets exposure to as many as 100 million AMD-running users, while AMD can tout a giant app catalog that may be preloaded on future PCs using its components. We don't know if the world needs yet another avenue for playing Angry Birds, especially when many AMD-based PCs won't have touchscreens, but the BlueStacks partnership could be a strong lure for new PC buyers who'd like an instant software library. BlueStacks teams with AMD to optimize Android App Player for Fusion, Radeon chips (video) originally appeared on Engadget on Thu, 27 Sep 2012 14:31:00 EDT. Please see our terms for use of feeds. As much as MediaTek is known for powering budget smartphones, the company is keen to make a fast track into the big leagues. Or bigger, at any rate. 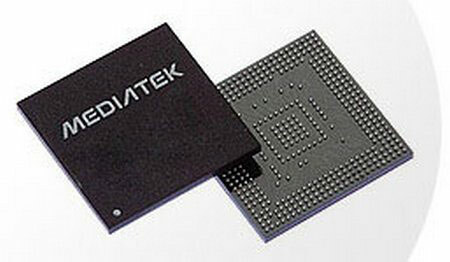 General manager Xie Qingjiang explains to China Times that MediaTek should have a quad-core, 28-nanometer mobile processor in production between the fall and the very start of 2013 -- not bad for a firm that just introduced a dual-core ARM Cortex-A9 design this summer. 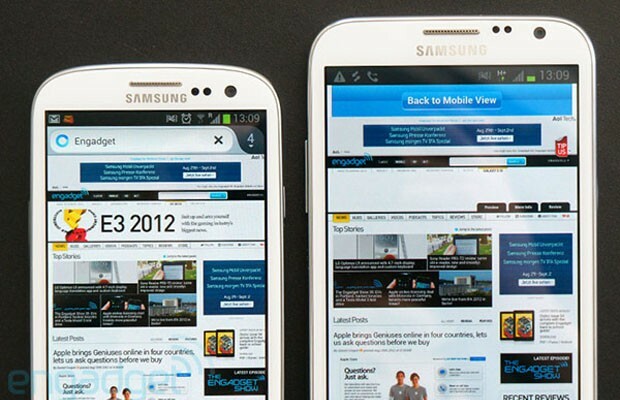 Smartphones built around the new part should arrive before the first quarter of 2013 is over. Details aren't available for the processor in question, although it's reasonable to say that MediaTek is more likely to serve a cost-conscious crowd than to compete in the lofty realms of the similarly 28nm Snapdragon S4 Pro. The move to quad-core could nonetheless be a welcome spike in performance for an audience that often has to settle for old technology. MediaTek plans for quad-core chips in budget smartphones by early 2013 originally appeared on Engadget on Wed, 26 Sep 2012 22:43:00 EDT. Please see our terms for use of feeds. Don't think Qualcomm is limiting its quad-core processors to superstar phones. The Snapdragon S4 Play line is growing to include the MSM8225Q and MSM8625Q, parallels to the existing two Play chips that bring four cores to entry-level devices. Besides the speed improvements that you'd expect from all that extra parallelism, the Q variants support the extra bandwidth of low-power DDR2 (LPDDR2) memory and can handle both 720p displays and movie-making. Neither is quite an all-encompassing solution, although the two will cover the bases for much of the starter demographic: while local wireless such as Bluetooth, FM radio and WiFi have to remain separate from the main processor, the two newcomers manage to pack either single-mode UMTS 3G (in the 8225Q) or dual-mode CDMA and UMTS (in the 8625Q) for their cellular fix. Along with the already promised, China-focused S4 Plus MSM8930, test samples of the faster S4 Play editions will be ready before the end of the year, with shipping phones on the way in early 2013 -- just in time to go head-to-head with a similar push by MediaTek to make quad-core the norm for a much larger slice of the population. Qualcomm reveals quad-core Snapdragon S4 Play processors, ramps up entry smartphone speeds originally appeared on Engadget on Wed, 26 Sep 2012 23:14:00 EDT. Please see our terms for use of feeds. You only have to look at the tidal wave of Ultrabooks to know that Intel design specifications can carry a lot of influence with manufacturers. That's why the chip-maker's claims about its latest reference tablet, built around a dual-core Atom Z2760 processor (aka "Clover Trail"), likely give us a broad hint of what to expect from devices like the forthcoming Lenovo Think Pad 2, ASUS Vivo Tab and Samsung ATIV Smart PC. In particular, Intel has shown us slides claiming that the dual-core 1.8GHz chip with Imagination SGX545 graphics will offer the "best Windows 8 experience" on a tablet with "compatibility and support for traditional apps and peripherals." And if you think that sounds like a subtle jibe at ARM-based tablets running Windows RT -- a version of the OS that doesn't even try to play nice with existing software -- then you could be right. To be fair though, the point of RT is to offer superior portability, and that's why Intel is also keen to emphasize that Clover Trail won't impact too heavily on your freedom of movement. Tablets should come in below 1.5 pounds (680 grams -- similar to the RT spe! 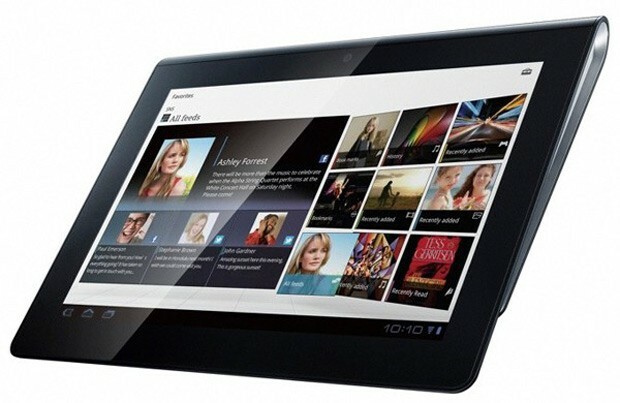 c and mu ch lighter than a Windows 8 Pro tablet) and 8.5mm in thickness, with built-in 3G, 4G and NFC. You shouldn't need to carry a charger either, since a new power management system promises a distinctly un-laptop-like three weeks on standby and a full day of "active use" -- defined as being at least 10 hours. Windows 8 tablets won't be like Windows 8 Pro machines, however, so don't go expecting USB 3.0, or a guarantee of 1080p visuals (most Clover Trail devices we've seen are 1,366 x 768) or souped-up security -- the Atom Z2760 is very much an evolved Medfield processor, with similar silicon and firmware, rather than a shrunken laptop chip. Needless to say, what really matters is how well manufacturers adopt this design and what price points they manage to hit. Intel says that at least 20 different Clover Trail tablets are already in the works, and early price tags seem to be around the $799 mark -- a hefty demand for sure, but perhaps one worth paying for those who need full-fledged Windows 8 and true portability at the same time. RT tablets, meanwhile, will have to come in much cheaper than that in order to be worthwhile. Intel details Clover Trail tablets: three weeks on standby, 10 hours of use, 'full' Windows 8 experience originally appeared on Engadget on Thu, 27 Sep 2012 03:30:00 EDT. Please see our terms for use of feeds. While the Motorola RAZR i hasn't yet hit stores, when it does, it'll now be able to tap into the Chrome Mobile app, following its latest update. We're putting the Intel-powered Android 4.0 phone through the review wringer right now, but have already noticed the lack of Chrome browser support. 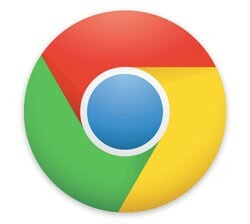 Due to the way Intel x86-based devices run apps, the browser required some adjustments, which are now complete. At the moment, the only existing phone that officially runs Android 4.0 on a Medfield processor is the incoming RAZR i, but now any future Intel smartphones will also get the full Chrome experience -- and Motorola gets to keep its promise of preinstalling the browser on its new devices. Chrome for Android update brings Google browser to Intel-powered smartphones originally appeared on Engadget on Thu, 27 Sep 2012 04:42:00 EDT. Please see our terms for use of feeds. The writing has been on the wall ever since Samsung's acquisition of mSpot, but the Korean firm today confirmed to Reuters that it plans to join the ranks of Apple, Google and Amazon in the world of digital content distribution. Most importantly, it plans to do so through buyouts. Samsung executive Kang Tae-jin offered a rather frank overview of the company's ambitions, saying that it will grow Music Hub into one of the top four services in terms of revenue and subscribers within the next three years. According to Kang, the push isn't so much to tap a new source of revenue, but rather to drive hardware sales -- perhaps it sees Apple's rumored move into music streaming as a bit of a threat. That said, the announcement also dovetails with rumblings of Samsung's efforts to build a more self-sufficient software ecosystem. Whatever the true reason, we'd imagine that the folks at Pandora, Spotify and the like are now watching the phone a bit more intently. Wouldn't you? Samsung aims to become key player in digital content distribution through company buyouts originally appeared on Engadget on Thu, 27 Sep 2012 04:57:00 EDT. Please see our terms for use of feeds. The strained relationship between the two tentpoles of Korea's tech industry is starting to wear, now that LG Display has counter-sued its local rival over OLED patents. Earlier this month, Samsung filed for an injunction accusing its frenemy of stealing secrets, but LG is claiming instead that it's the victim. If successful, Lucky Goldstar would seek a ban on devices including the Galaxy S III, Galaxy Tab and Galaxy Note on the pair's home turf -- so, yeah, this one looks like it's going to run and run. 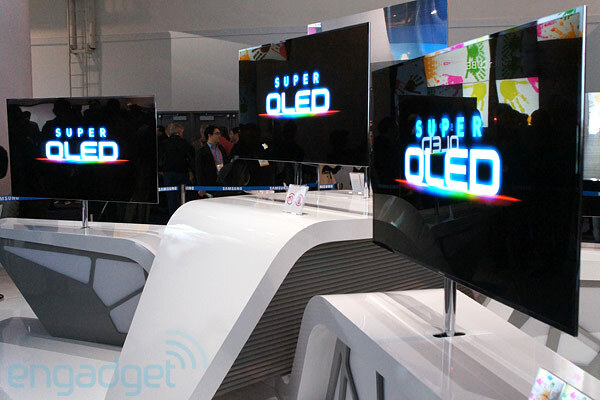 LG Display countersues Samsung over OLED patent infringement originally appeared on Engadget on Thu, 27 Sep 2012 06:02:00 EDT. Please see our terms for use of feeds. The iPhone 5's processor might be faster than we thought. According to TLDToday, the A6 is clocking in at 1.3GHz after an update to the Geekbench benchmarking app, which is supposed to do a better job of detecting what's actually going on with the A6. A $2,300 3D printer isn't really anything special anymore. We've seen them as cheap as $350 in fact. But all those affordable units are of the extrusion variety -- meaning they lay out molten plastic in layers. The FORM 1 opts for a method called stereolithography that blasts liquid plastic with a laser, causing the resin to cure. This is one of the most accurate methods of additive manufacturing, but also one of the most expensive thanks to the need for high-end optics, with units typically costing tens-of-thousands of dollars. A group of recent grads from the MIT Media Lab have managed to replicate the process for a fraction of the cost and founded a company called Formlabs to deliver their innovations to the public. Like many other startups, the group turned to Kickstarter to get off the ground and easily passed its $100,000 within its first day. As of this writing over $250,000 had been pledged and the first 25 printers have already been claimed. The FORM 1 is capable of creating objects with layers as thin as 25 microns -- that's 75 percent thinner than even the new Replicator 2. The company didn't scrimp on design and polish to meet its affordability goals either. The base is a stylish brushed metal with the small build platform protected by an orange plastic shell. There's even a companion software tool for simple model creation. You can still get one, though the price of entry is now $2,500, at the Kickst! arter pa ge. 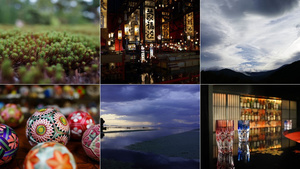 Or you can simply get a sneak peek in the gallery and video below. 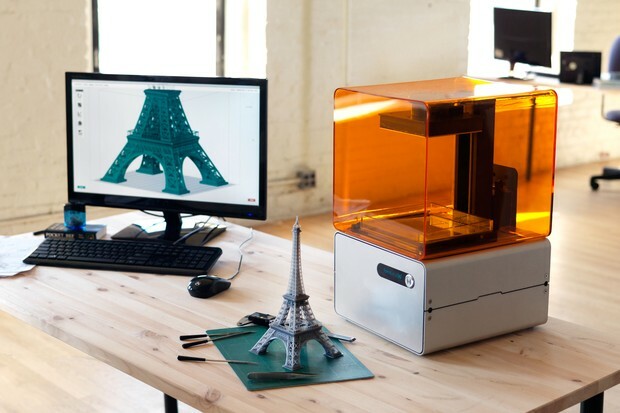 FORM 1 delivers high-end 3D printing for an affordable price, meets Kickstarter goal in 1 day originally appeared on Engadget on Wed, 26 Sep 2012 18:46:00 EDT. Please see our terms for use of feeds. Love Amazon's renowned two-day shipping? 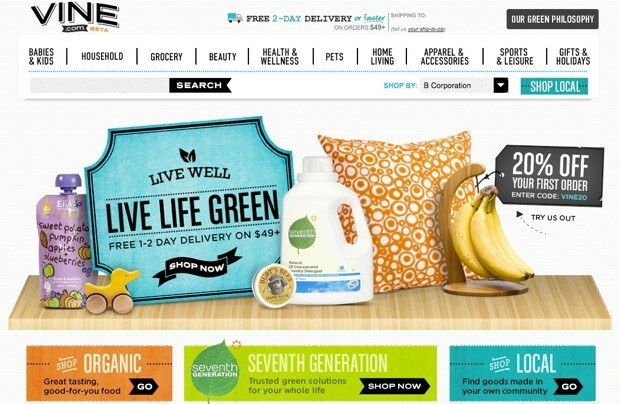 How about organic eats and other miscellaneous environment-friendly products? If so, then today's your very lucky day. Adding to the endless list of shopping sites it already owns, Amazon has just introduced Vine.com; a site which aims to be a one-stop web store for folks looking to snag anything from organic ingredients to beauty products like all-natural shaving oils and Kiss My Face foam soaps -- and yes, as we stated earlier, there's an option to get that speedy two-day delivery service. While chatting with Bits Blog, a Vine representative said the goal isn't "necessarily about saving the planet," but that his team does "feel the products are useful in that regard." Currently Vine.com is live in beta form, though that doesn't mean folks interested can't go browse around and order some goodies -- to do that, give the source link below a quick tap. Amazon launches Vine.com for shoppers who live life on the 'green' edge originally appeared on Engadget on Wed, 26 Sep 2012 15:03:00 EDT. Please see our terms for use of feeds. Finnish game studio Rovio went from relatively unknown to center stage with the Angry Birds franchise. And in record time, too -- the first Angry Birds landed on Apple's iOS App Store in December 2009, less than three years ago, and has since become an international sensation. The birds spawned a flock of sequels, branded tie-ins, and tons of merchandise. All this adds up to quite a bit of chicken scratch for Rovio, and also quite a bit of pressure to keep the money train rolling. Today marks Rovio's first true sequel to the original Angry Birds, and it's focused on the other side of the farm: the pigs. 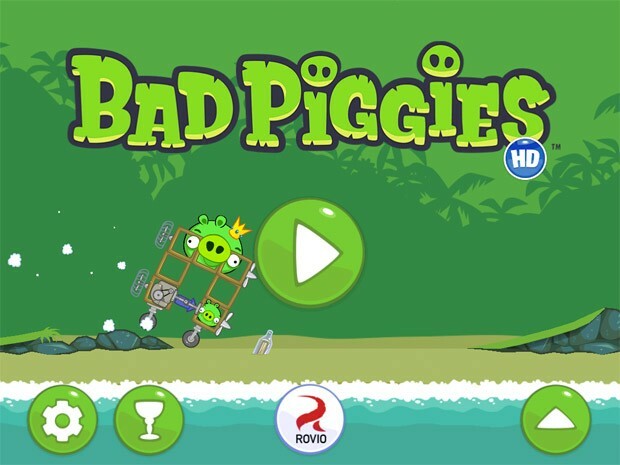 Enter Bad Piggies. Unlike Angry Birds, Bad Piggies isn't about flinging anything towards a complicated structure in order to knock it down. Instead, it's about moving one very green, goofy sounding pig to various points on a map to collect items and reach a goal -- it's much more Cut the Rope than Angry Birds. The same physics-based game mechanics are at play in Bad Piggies that made both Cut the Rope and Angry Birds so popular, and they're just as fun in this time around. But how do you get said piggy to the goals? You build a contraption, of course. Each level starts with a build section, allowing players to create all types of vehicles in order to transport the pig from point A to point B (while grabbing collectibles along the way). Only a small handful of build options are available, keeping Bad Piggies just as speedy of a game -- to pick up and play while commuting or while waiting at the dentis! t's offi ce -- as its wildly successful progenitor. It's hard to say if Bad Piggies will recapture the success that Rovio found with Angry Birds proper, but all the hallmarks are there: quick, fun gameplay, colorful characters, goofy sounds, and accessibility (we couldn't help but get all three stars on every level, but you don't have to in order to proceed, should it prove too difficult). Bad Piggies launches tomorrow morning for iOS devices, Mac, and Android. Angry Birds sequel 'Bad Piggies' launches tomorrow, we go hands-on originally appeared on Engadget on Wed, 26 Sep 2012 08:20:00 EDT. Please see our terms for use of feeds. A couple of companies have been jumping the gun on DDR4 production, but the JEDEC Solid State Technology Association is finally bringing order to the industry by releasing its official standard for the next-gen DRAM. It calls for "higher performance, with improved reliability and reduced power" -- which we roughly take to mean: less gigs for better rigs. The DDR4 per-pin data rate standard is 1.6 gigatransfers per second (GT/s) at the minimum and 3.2 GT/s at the top-end, although this cap is expected to increase in future updates (given that DDR3 also surpassed its initial target). Speeds will begin at 2133MHz, a significant jump from your average DDR3 stick, and will also operate at lower power thanks to the Pseudo Open Drain Interface. Check out the PR below if you want to delve deeper into the specs, and if even that's not enough to sate you, head to the source link below to tackle the full documentation. Godspeed! 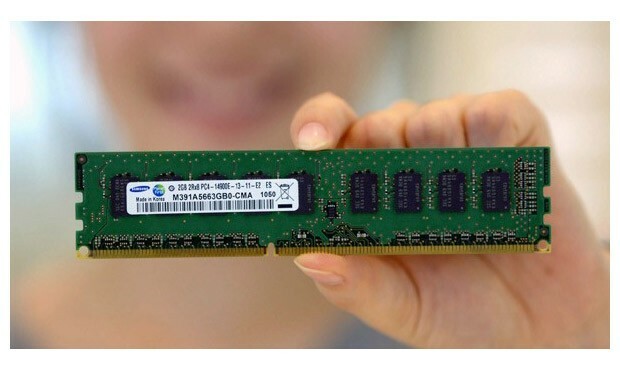 JEDEC announces final DDR4 RAM specification originally appeared on Engadget on Wed, 26 Sep 2012 10:47:00 EDT. Please see our terms for use of feeds.